The holidays are right around the corner which means there's a whole lot of travel (who else is braving the airports like I am this year? ), family (my mom is already talking about day trips), food (banana pudding is going to be in FULL EFFECT - hello NC!) and warm and cozy outfits (get ready for this project) going on! To prep for some time away from LA to watch sleigh bells ring in Charlotte, I thought a poncho (see "warm and cozy" above :) ) would be just the thing to wear on Christmas. 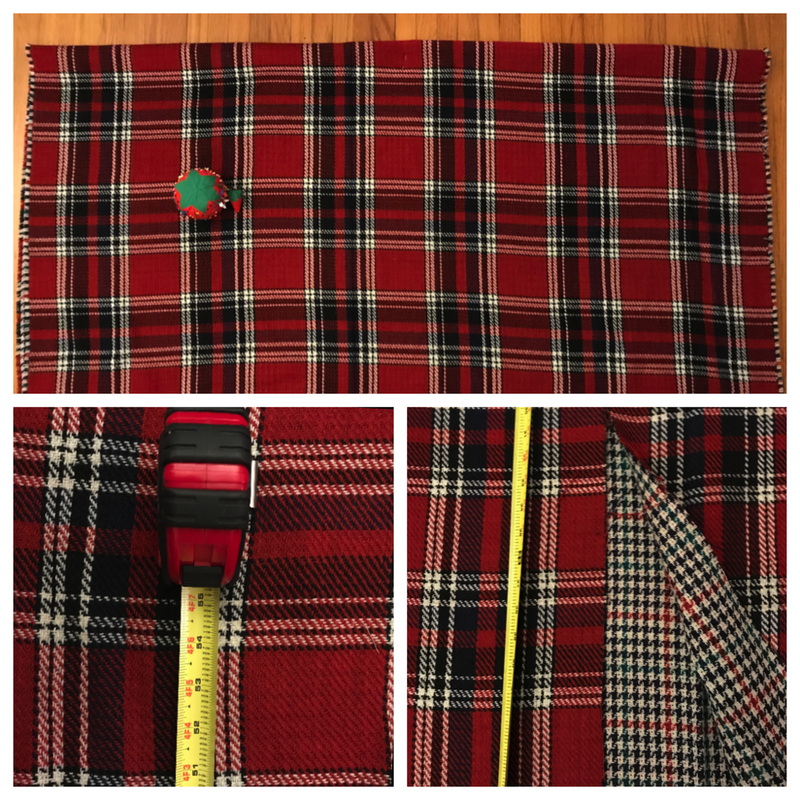 How perfectly plaid is this? BUT WAIT. The best part - look at that reversible fabric. I just went from making a holiday poncho to a holiday REVERSIBLE poncho. I'm going to get a TON of wear out of this puppy. This project is super easy and can really be crafted by anyone. Sewer, non-sewer - there's no judgment here! 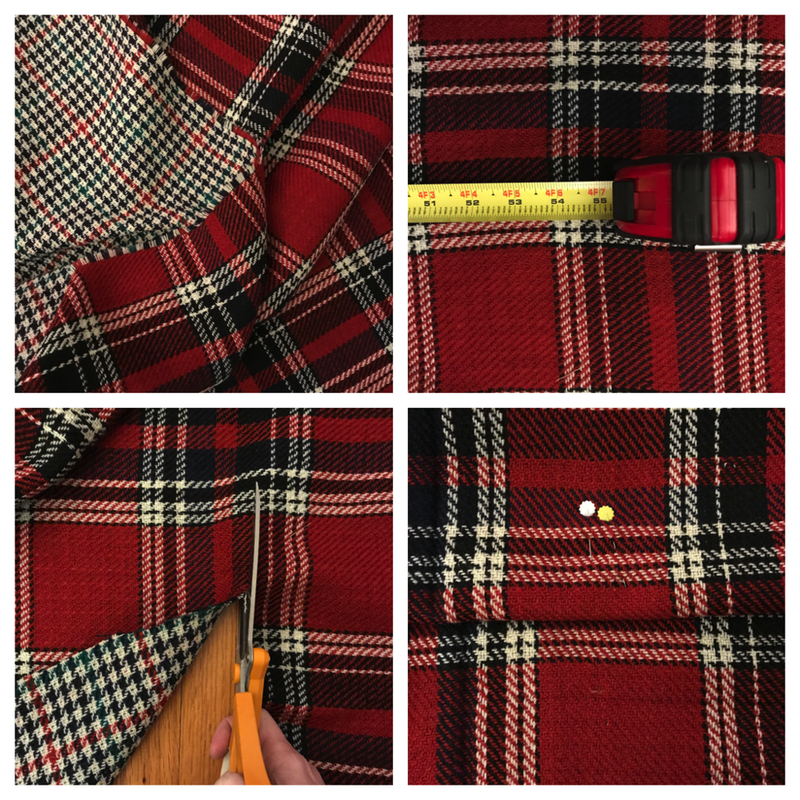 Fold your fabric in half lengthwise and mark the center of your fabric at the crease on the top of the fabric with some pins. This is where the back of your neck will be touching the fabric! Next trim a straight line on the top layer of fabric. (Remember the fabric is folded and we only want the line to be cut on the top layer.) Trim from the bottom up to where your pins are at the crease. An easy straight stitch around all the edges of your fabric will help prevent more fraying if you're using a woven fabric. VOILA. New poncho out in action. It's seasonal, it's reversible, and it's just so easy to craft! I'm going to be wearing my Christmas poncho wayyyyyyy after this tree is taken down! ...I was in the way of all the kiddos trying to get tree pics! I made a bunch of friends in my new poncho! One poncho, endless poncho-bilities. YOU GUYS. Come on.